Stretch before you drive. Yumee recommends triangle pose to help you get limber. Sit in a comfortable, healthy position. The Ford Edge features 10-Way Power Driver and Passenger seats so make use of that to help support your lower back (this was really key to me personally as I’ve been having problems with my lower back the last two months). You want to sit back in the seat with your head, ribs and pelvis in ones line. This stacked position helps keep your back happy and healthy. Do a posture check when driving. We all tend to slouch forward when behind the wheel so do a quick assessment of your posture by sitting tall and sending your shoulder blades downwards. Your chin should be positioned so that your earlobes hover above your shoulders rather than forward (and the car’s voice-activated SYNC 3 tech will help make sure you can maintain this posture since you can just say your commands aloud). Shake out those wrists. If you find you’re clenching the steering wheel, occasionally take a moment to rotate your wrists and give your hands a shake. Practice deep breaths. Traffic can be stressful, which could cause you to breathe quickly and shallowly so try five to 10 cycles of inhaling for a count of 6 and exhaling for a count of 8. Use yoga therapy balls to relax your muscles pre-drive. If you’re going on a long road trip, take a quick moment to use some yoga therapy balls to ease any areas that feel tight. You can do this in your seat by placing a ball between the seat and your back at the spot that feels tight and working out that tension. Get moving. When you’ve got the car safely stopped, use the time to get your body moving a bit (gently shake your head as though you’re saying “no,” or lean one ear down toward your shoulder and then point your nose in the direction of your armpit (repeat on the other side), or make like you’re a belly dancer and wiggle your spine while seated. 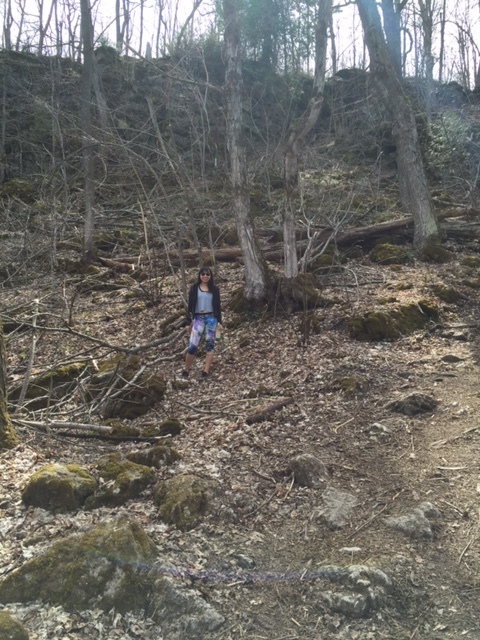 Do a few spinal twists once you get out of the car after a drive. Use the features of the car that help make driving less stressful. The Ford Edge features Active Park Assist (and I know that I find parking one of the most stressful tasks! ), and the Blind Spot Information System (BLIS) is another feature that can help you feel more at ease behind the wheel. 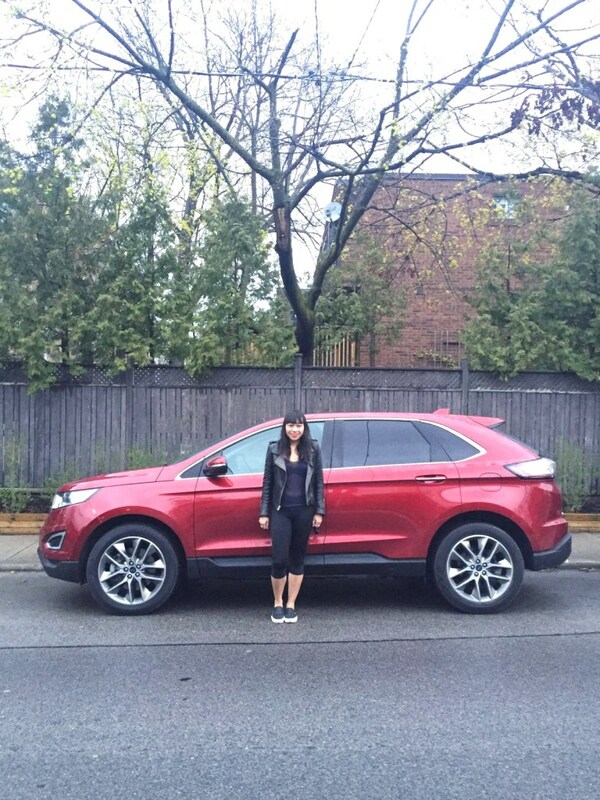 My #FordMindfulness lessons complete, I also got a chance to drive the 2016 Ford Edge Titanium around town over several days to put these tips into practice and to make my life more mindful. 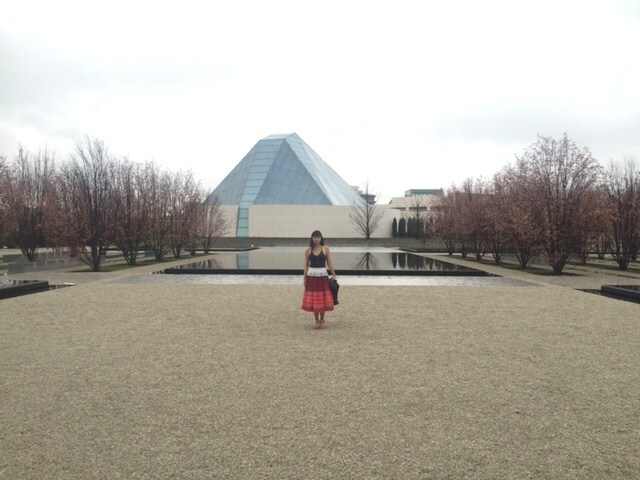 I used it mostly to go drive north of the city to go hiking, where the fresh air and peace and quiet was just what I needed, and I finally made my way to the Aga Khan Museum, which is a stunning building (inside and outside) filled with beautiful pieces. Oh, and you know what makes driving much less stressful for me? The SYNC 3 navigator. I have no sense of direction and even though I went to the wrong mall (don’t ask, haha) at first driving the Ford Edge to go to meet Douglas Coupland for #3Dcanada and also needed to find a great Thai spot for dinner on the way home from hiking, doing these tasks were a breeze thanks to SYNC 3 and I didn’t enter panic mode. Ford Canada also sent me to practice mindfulness at Float Toronto, a floatation therapy spot where you float in a dark tank of 10 inches of water that’s got 900 lbs of Epson salts dissolved in it, which allows you to float effortlessly. I’d been meaning to check out Float when it opened, but the idea of it terrifies me so I never put much effort into going. I can get panicky and claustrophobic in pitch black darkness. But I decided to push myself out of my comfort zone and give it a shot. The float session lasts an hour, and I spent the first 20 minutes in the tank with the door open fidgeting around (sitting, Snapchatting, etc), and then since Float told me it’d be warmer if I closed the tank door, I closed the door with a towel to keep the tank door open a smidgen for some light, but it was too dark for me, so I opened it up again. The last 25 minutes I did manage to settle down and just lie there floating…but then I got restless so I got out and showered to get on with my day. In the end, I’m glad I gave float therapy a try and I can see why it’s appealing to so many people. 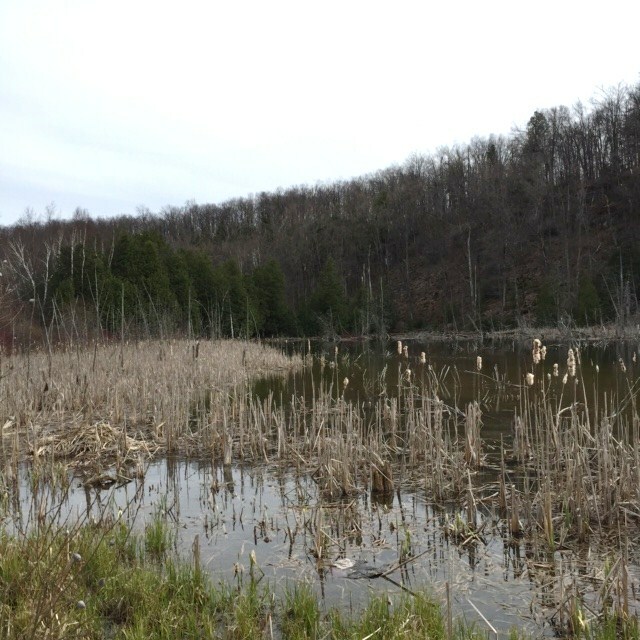 Thank you to Ford Canada for lessons in mindfulness with the Ford Edge Titanium. I know I’ll use these strategies whenever I get behind the wheel now. How can it be fall already? I’m still catching up on summer blog posts, oopsie. Like back in June (June! 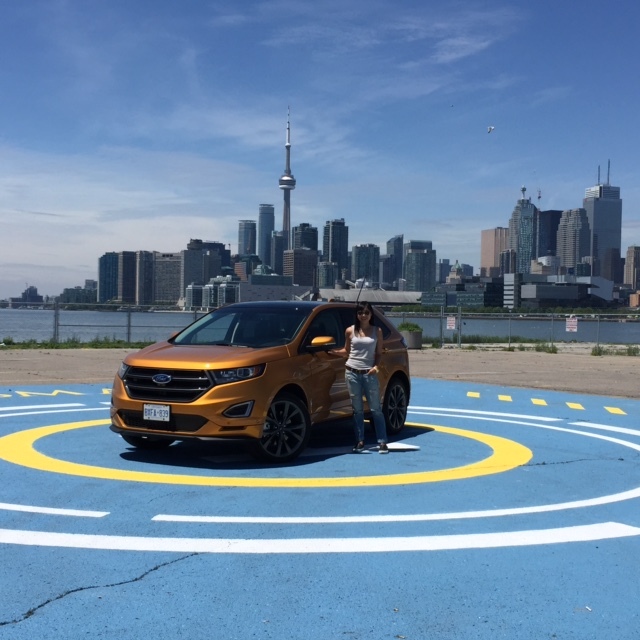 ), I spent the afternoon with Ford Canada learning about the Ford Edge crossover vehicle and also doing a bit of “living on the edge” — more on that in a bit. The Ford Edge has a number of cool features I discovered that day. I can’t talk to you about horsepower (and I doubt you expect me to! ), but how about the nifty tiny jetwasher that keeps the camera clean? Whenever I’ve driven a Ford, having that rearview camera help me with parking, and now the view is not only kept clean with this jetwasher, but the camera technology is such that it allows you to see around corners (viewing things that you just seated in the driver’s seat can’t!). For example, way before you spot a pedestrian walking past behind your car, you’ll view them on the screen. And parking has never been my forte (friends can attest to that…) and I’m a huge fan of active park assist. Now it’s been enhanced. Some features of enhanced park assist: There are now sensors that help you with perpendicular parking and as for parallel parking, the feature now helps you with parallel parking on either the left or right side of the road. And a feature I’m fond of (as is a friend of mine who also drove a Ford with me recently: blind-spot information system. There are radar modules on the vehicle and when a vehicle is in your blind spot area, a small light in the corresponding rearview mirror blinks on. My fourth favourite feature: the lane-keeping system. A camera in the car monitors your driving compares to the lines on the road that define the lane. If the camera detects movement that indicates you may be drowsy, the car alerts you and recommends you take a break. Having the experience of driving with these features in the Ford Edge allowed me to drive and live on the edge, as they framed it, but all safely. And it’s all about safe driving now, isn’t it? 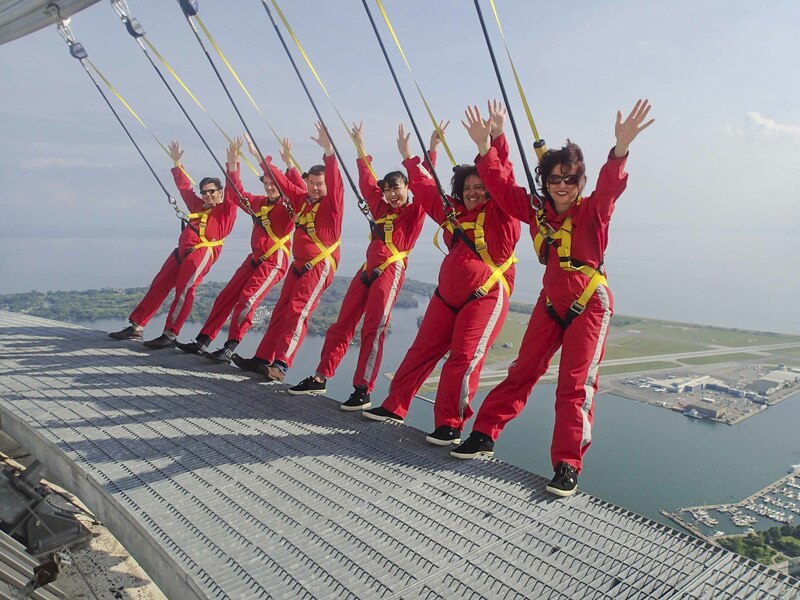 To top off the day, we literally got to live on the edge by taking part in the CN Tower EdgeWalk. 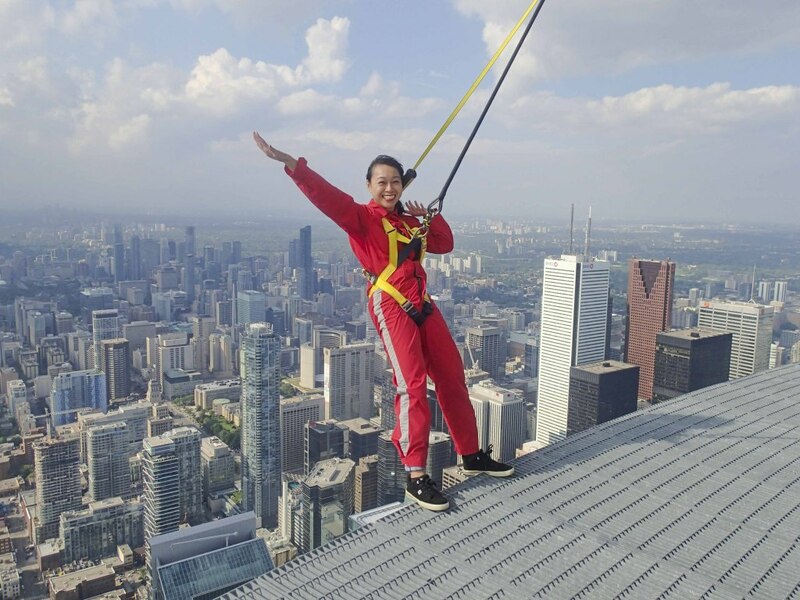 If you’re not familiar with it, it involves being harnessed basically at the top of the CN Tower, walking around the Tower, while also completing a number of poses. I don’t particularly have a fear of heights and based on photos I’d seen of the EdgeWalk, I’ve always thought the experience looked a bit lame. LET ME TELL YOU I WAS OH SO WRONG. So the actual walk around the Tower is a bit boring as I’d expected, and I found most of the poses quite easy to complete. Leaning at a 45-degree angle with the harness holding you securely? No problem; all I had to do was stare straight out towards the horizon. But one pose had me shaking with fear and I just barely completed it. This was when we were to step to the edge of the platform and have our toes extended over the edge of the platform. For me, the reason this had me shaking like an 8.0 magnitude earthquake is because having to extend your toes over the platform meant I was forced to look down…down alllllllllllll the way to the cement streets and sidewalks of downtown Toronto. I can feel my heart beating faster just typing about the experience. I failed on my first try (stepping back quickly) but the second try I forced myself to get the very tippy toes of my shoes over the edge for the quickest moment, before stepping back to stand solidly on the platform. It was the exhilarating way to cap off the day (a day in which I even drove in rush-hour Toronto traffic, which in and o f itself is its own adventure, haha, through various neighbourhoods I don’t usually get to, so it was a bit like being a tourist in my own city). 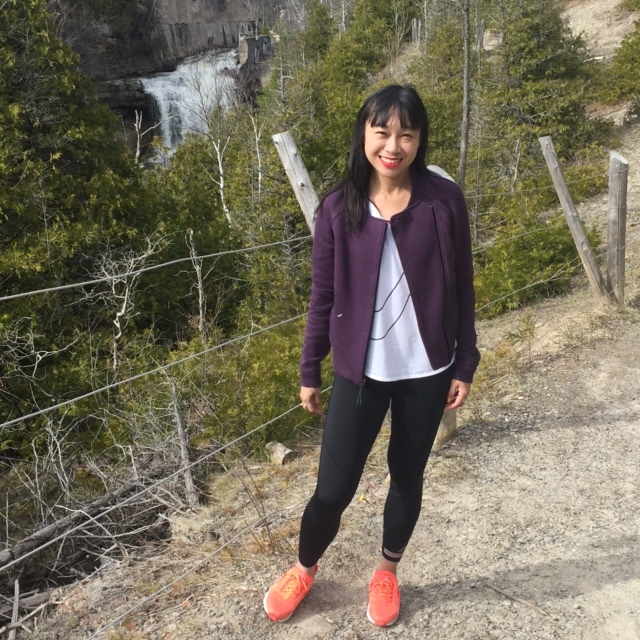 Thank you, Ford Canada, for the adrenaline rush!